On March 14 Mirian (not like our friends Cerbro, Alan Negao and some others), paid the party for her 10th anniversary in china (it's or should be a tradition, but has become an exception!) She celebrated not only her 10 years in china but her birthday as well. The party was in a "hippie style" at China Groove. It was a great and very funny!! 600 bottles of Budweiser beer helped to keep the "hippies" happy and make it funnier! The inaugural Zhuhai sprint race, for the fourth round of the 2007/2008 A1GP World Cup of Motosport, which took place last Sunday morning at Zhuhai Circuit in China, started with a collision of 5 cars at the first lap. This incident took out of the race the Brazilian team, upsetting the Brazilian fans that were expecting a strong performance from their home country team. The winner was Michael Ammermüller, from Germany team, who lead the race from the start until the flag clinching his first victory at A1 GP. In second place came the championship leader, Team Swtizerland, with Neel Jani driving a strong and consistent race. To complete the podium, and to the delight of the local fans, came Team China with driver China secured the third placed on lap 10 after a clean overtake shot past Irland's Adam Carroll. This was the first podium finish of Team China in A1 as well for this yong driver on this competitive series . On the afternoon the main event of the weekend, the 70 Minute Feature Race, brought to the podium also a very first time winner, the Team India’s Narain Karthikeyan . Starting from third on the grid, Karthikeyan took the lead from New Zealand's Jonny Reid, during the of the 2 mandatory pit stops that every team has to perform, leaving Reid with the second position on the podium. The final podium position was taken by South African's Adrian Zaugg, who also drove a fantastic race fending off a strong attack form Germanys Team during lest third of the race . Championship leader Team Switzerland’s Neel Jani, who started from pole, had the lead stolen by Great Britain's Oliver Jarvis, on turn one, after the Brazil, Ireland, Canada and Malaysia got involved in an incident behind them. After the first pit stop window Jani got back his position, but could not hold it through second pit stop window when the team was hit technical issues, and had then to settle in sixth place at Zhuhai's race, but still scoring important points for the championship . The French team, which follows in second place for the title, finished the race on seventh after being penalized on lap 16 due to release their car unsafely during the first pit stop. Switzerland's team has kept the Championship lead, with 79 points, followed by France 60 and New Zealand 59. The Brazilian team, that didn't have a good weekend, getting out of the two races in the firsts laps, remains with 22 point, 11 place on the Championship. On Nov 18 our driver Jorge Cerbro Busato became the first foreigner to win the China national ICA Kart Championship. After a tough season and a challenging weekend on the last of the 6 rounds. During last weekend the team members had a hard time trying to find the right settings for the kart. The weather conditions were unstable, sometimes raining sometimes sunny but always very cold. Jorge finish the trials with the best lap time on Saturday. On Sunday morning our team leader Arie had to change the whole settings for the pre-finals since the track was completely wet and no grip at all. Jorge than started the pre-final at the first position but he was pushed out by his opponent to the title and lost 5 positions. With the right settings and a great drive Jorge finished the pre-final at 2nd position. For the final Jorge stared at second and had a beautiful fight for the first position. He overtook the race leader 2 times but could not hold and finished at 2nd. With his opponent to the title finishing at 4th position Jorge clinched the ICA Title of 2007. 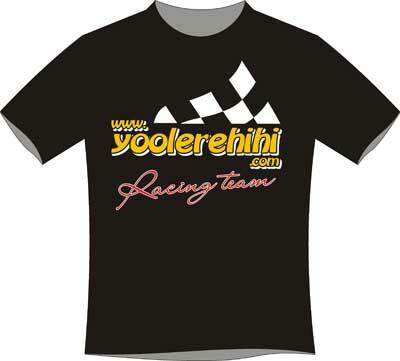 Congratulations to Jorge and to the whole Yoolerehihi (tm) team. On Sep 23 our Pilot Jorge Cerbro Busato won Shenzhen phase of the Chinese 2007 Kart Championship. With the victory Jorge assumed the first position at the championship. This race was the 4th of the championship. Jorge started the race at the 1st position and kept it at the start. At the beginning Cerbro imposed a fast rhythm leaving all other behind. After few laps he already had a good advantage over the 2nd Afan (Current Champion). With regular and fast laps Jorge broke the circuit record of 39.9s. After 20 laps Jorge had a big advantage to comfortably win the race. The next round will be in Shanghai. Now Jorge with 50 points has 7 points ahead of Afan who is the second with 43 points. The Championship still has 2 races to finish. On Aug 04th, the waves forecast was showing that the waves will be finally back to Xi Chong beach in China after a long flat time. A small Typhoon at Hainan island suppose to bring waves again. Hopping that the forecast would be correct, Lobo Mau, Sebaldo and Bola all members of Yoolerehihi Surf team, moved to the beach to check it out. For their happiness the forecast was correct and they had a very good and fun Sunday surfing. The typhoon season is starting a little earlier this year bringing back the waves! Check out the pictures made by Lobo Mau that only took a few shoots, nobody wants to get out from the water. 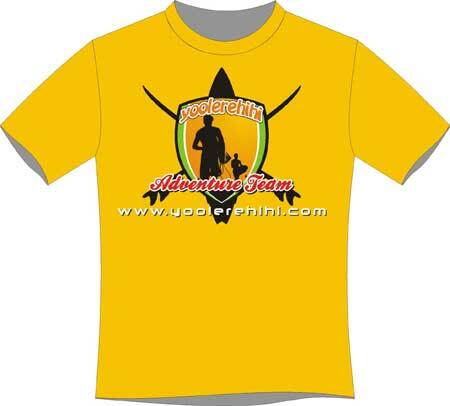 On May 09 Yoolerehihi Adventure Team went climbing at Benneh's Camping Park, Ivoti City, Brazil. The place is one of the most famous and complete rock climbing areas in Rio Grande Do Sul. Protected and hidden in the forest the place has more than 60 different routes, with difficulty levels from 5A to 9B, which makes the area a perfect place for training. Guided by claudio.bridi, Yoolerehihi Adventure Team Members, Daniel and Gabi, 11 years old, took their first step into the vertical world! Gabinha who is 11 years old decided to try climbing and she loved it. Before leave the place we collect the garbage in order to protect and preserve the environment!. From April/26-30 Torres Beach in Brazil hosted the 18 Balloon International Festival. All the conditions were perfect, sunny days, soft wind, a long holiday that attracted many people to see the beautiful event. This is one of the biggest encounters in the world with competitors from many countries. This year the competition had 38 balloons and the organization already announce that for next year it will be at least 50. Check out the pictures to see the amazing show!!! Torres is one of the most beautiful beaches in Brazil and every year brings this spectacular event to Brazil were this sport is just beginning to be more practiced. On Mar/24-25 Yoolerehihi Racing Team won the Delta Race in Zhuhai International Circuit. Our pilot Geada Massara that had problems with the engine on the first race, started at 3rd in the second race. Our team that works very hard during the night to change the engine had his time eating barbecue and celebrating Geada's victory.